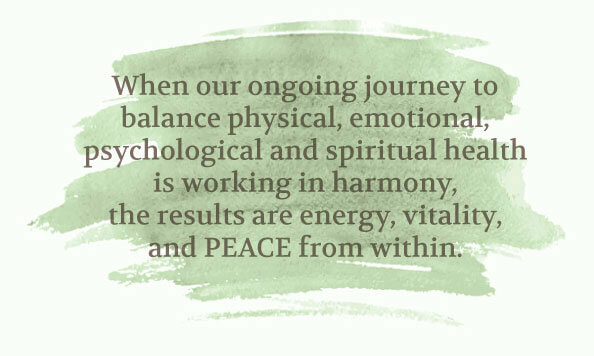 I am passionate about restoring hope, healing, and health from within! In order to find balance, we must appreciate and understand our unique biochemistry and how food, environment, lifestyle, genetics, and more influence our health. The body is a beautiful network of systems constantly communicating together. An imbalance in one area of your body can cause illness in a completely different part, making it important to view all systems together and to appreciate how they influence each other. This is called functional nutrition or functional medicine. This is why I value each person as unique and provide a personalized and compassionate approach. My partnership with clients take them on a journey to explore past history, medications, supplements, lifestyle habits, stress, environment, relationships, genetics, and how it may contribute to their current health struggle and status. Together we use “food as medicine” nutrition therapies, supplementation, advanced testing, lab work, and more to help uncover and correct health imbalances. As research continues to emerge, it is clear that gut bacteria are directly connected to our major systems in the body making them vital for a healthy immune system and total health. This is why I am dedicated to the area of gut health to help you thrive. The nutrients we enjoy from food are not effective if gut health is not optimal, or if the gut is not absorbing key nutrients needed to regulate the body’s systems! 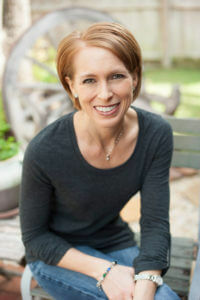 My mission is to help clients discover a PEACEFUL GUT and a healthy balance so they can thrive. Believe it or not, I too have struggled with my own health. Several years ago, I became frustrated with conventional approaches failing to provide answers. Despite my vast knowledge of nutrition even I couldn’t “eat my way” to improve my skin, gut, and hormone issues leaving me disheartened and discouraged. I began my journey exploring alternative therapies ultimately leading me to advanced training in functional and integrative nutrition therapy. I dove back deep into my roots of science and biochemistry and discovered natural solutions for healing. This re-ignited my passion for working in the nutrition field and helping others thrive — and gave way to the birthing of my private practice, JBS Nutrition & Wellness, LLC. My experiences and journey have taught me that a holistic view of our health is absolutely necessary to uncover the root cause of our most pressing health concerns. 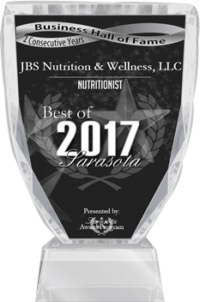 Julie has been honored to receive the BEST OF SARASOTA for Nutritionist two consecutive years running since she opened her private practice in 2015.